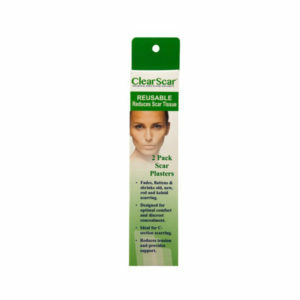 Herewith my feedback on the Clearscar plasters. Since I started using the plasters I have had amazing results, not only with the lightening of the scar tissue but also with the reduction of the size of the scar. I feel that, where before I was very conscious of the scar on my forehead and constantly wanted to cover it up with my fringe, I now find myself with my hair tied back and people hardly notice my scar. What I like about the plaster is that it is re-usable for up to 14 days. Once washed, it is just as sticky as the first time it was used. It is comfortable to wear and very discreet. As one can see in the photo’s I have sent, they REALLY work. Thank you for an awesome product. I would like to take this opportunity again to thank you for the ear planes. 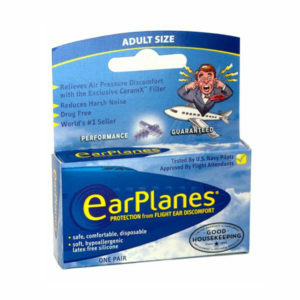 I have now used it twice flying to Port Elizabeth and bar a slight twitch in my left ear, I had absolutely no ear ache. I will however go and buy the smaller EarPlanes (babies) as I have very small ear canals and these things stick out of my ears and it look rather funny. I don’t really care about the looks as long as I do not have the terrible earache. You are a true lifesaver and I am advertising this product to all my family and friends. It is with a great appreciation for your product, that I am inspired to write this testimonial. In September I was diagnosed with an ear infection just two day before I had to fly internationally. I was more than anxious as I had suffered terribly in previous flights. My ears were always sore on the decent and somehow when the plan reaches 11 000 feet then my ear drums feel like they are going to burst. I battle to recover from flights as it takes me two to three days to adjust and have my ears equalise fully. Fearing an international flight only 48 hours away and with an ear infection , I was reminded about your product from a friend who had used it before with great success. 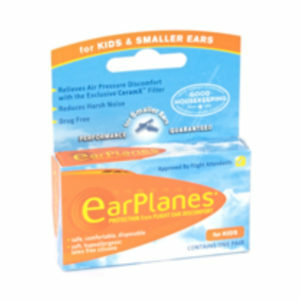 Rushing to the chemist I purchased the Cirrus Earplanes for children as recommended by your office. My ears where swollen inside and had I not used the one for children I would not have been able to place them in my ears. Following the instruction in the box to the letter I waited with baited breath. The plane took off and I could feel some discomfort but then I heard the click as the little equaliser in the ear plugs started to do the work for my ears, I was relieved. Placing them in my ears before the decent I was amazed to see how well it works, I had very little discomfort, far less than I normally experience without the ear infection. I flew 11 hours and landed at my destination a happy camper. The first thing I noticed after landing and exiting the airport was that I did not have blocked ears. My ears were still tender but fare better than I had hoped or expected. I could greet my friends with confidence and full hearing, it took no time to adjust! I am convinced that without your product I could not have had such a successful flight. I look forward to using your product in the future and want to encourage others to make use of the very efficient product.